I'm feeling totally inspired by the change of the seasons as we move from Summer to Fall! September through October is by far my favorite time of the year as the world quiets down, Halloween decorations creep into stores (and go on sale! ), and I'm the days shorten into longer- and far spookier- nights! I wanted to celebrate this with you in a decadent way- with books that you can curl up and read with hot cups of herbal tea and warm blankets! Also, the day that I'm writing this blog for you, Pluto- the planet that rules the shadow sides of life, death, destruction, rebirth, and renewal- is finally moving direct! This planet encourages us to dive into our darker sides so I've compiled a list of books I've stumbled across on the internet that are fun, educational, and of course a little spooky! If you love this topic and want to see more let me know in the comments! I have plenty more recommendations where this came from! You'll see me mention a few green witch books in this list. Most of them- honestly- I added because they are cute and charming to add to your bookshelf but I have yet to come across a book that I grab and use as a resource for herb/plant/ earth magick. Perhaps I'm not looking hard enough or maybe we each practice magick and intention differently but these book additions are a great starting point for new earth witches! Grimoire for the Green Witch does a great job of explaining some of the basics of symbols, rituals, and other things you will find you may need to know for magick however this book is very much designed for those that love to recite rites and perform elaborate ceremonies whether alone or with others! What you may or may not know about me is that I LOVE skulls, bones, and dead things of all kinds! Always have, always will! This book is a handsome collection of creepy things and fun to flip through, gawk at, and leave on your coffee table as an awesome conversation starter! Who doesn't love a good book on things of the past and haunted places? I love ghost stories and I this book blends history with spooky explanations of haunted places! After you're done reading this book check out Rob Dyke's Creepy channel on Youtube- another guilty pleasure! Okay, this book may not be creepy or spooky but if I'm to talk about books this one will always be added to this list! This book took me FOREVER to get through! Why? Well, because every single page is filled with profound nougats of wisdom that is simply life changing... I had to stop and highlight, cry, laugh, cry again... it was a process! Take your time to savor each sentence within this book- it really is THAT good! If you haven't gotten your hands on it yet you MUST! Death is something I've learned is nothing to fear... life on earth is usually more painful than death itself. 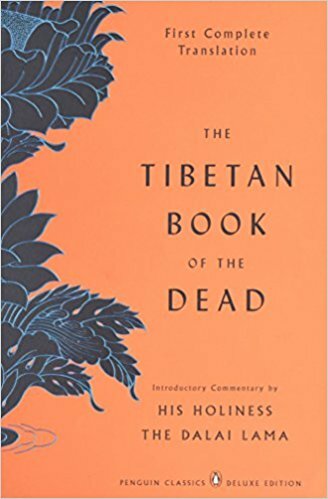 This book gives such an awesome and eye opening perspective on both life and death and- for me- reminds me to celebrate both. BASIC WITCHES- How to Summon Success, Banish Drama, and Raise Hell with your Coven! So of course this book isn't a totally serious book added to the list BUT it does give some fun inspiration for magick working (and a laugh! )- plus I see it as an awesome gift to give to one of your witchy friends! I can't have a list inspired by the energy of Pluto and fall WITHOUT talking about the walking dead! I waited for YEARS to get my hands on this book! I knew it was going to be a 'fun' read and didn't see it serve a practical purpose in my life so I hesitated on purchasing it right away... that's the annoying side of my practical Virgo nature! Once I did finally buy this book I LOVED it and bought it twice more (one for while I'm vacationing to read and one to leave on my bookshelf)! The chances of the dead coming back to life are slim to none (maybe, haha!) but this book will definitely keep you prepared in the event that we have a total zombie apoloclypse! Either way, its an awesome read! I find this unhealthy and unnatural. We're not meant to be "On top of the world" all the time... and the times where we hit rock bottom are the times of rich personal transformation and growth that we are later grateful for! This book celebrates that in a beautiful way :) Honor ALL sides of you- both the messy and the pretty! Now Dive into the Stars...! October 24th Taurus Full Moon is LIT!!! NEW VIDEO: HSP UNITED: Dealing with Donald Trump & What You Can Do to Increase Positive Vibrations! SUBSCRIBE TO THE BEHATILIFE YOUTUBE CHANNEL! 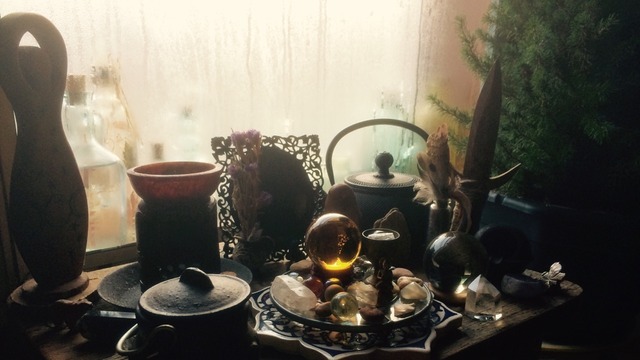 While working through my clients' readings I like to have music focused on healing and energy playing in the background to provide an extra dose of cleansing and empowerment! I choose each song based upon what I feel would be best for my client and what I pick up on with their energy. This heart chakra focused meditation was so pure and beautiful with lovely vibrations I wanted to share with you all! I don't know the creator or who uploaded the video- this was something I just happened to stumble across! There is a stereotype circulating about people pursuing the spiritual path or deepening their connection to Spirit/God/the Universe. - We are quiet and do not disturb the peace or avoid all forms of conflict! - That we are (or at least expected to be) in a constant state of blissful peace and disconnection! - That we think we are better than others or are judging your life style, belief, or practice! - That we have an answer for everything! - That we are constantly reading you, or your mind, or use our intuition as a weapon! - That we are perpetually calm and acting upon our inner wisdom! Yes, it's true that for some of us we spend our time in quiet contemplation and we do pursue a life of inner peace... but inner peace and moments of quiet contemplation or reflection does not reflect the entire picture! - Spiritually seeking and thriving people are HUMAN- just like the rest of us! Your blissed out yoga teacher has had moments where s(he) has emotionally broken down in their car before arriving to teach the class... sometimes for a reason and sometimes for seemingly NO REASON AT all! - To have PEACE does NOT mean you speak in soft soothing tones, blink and breathe slowly, or walk like you're floating around a cloud! Again, you are HUMAN, and each human is different in their ways of thinking, feeling, and expressing themselves! Some people are louder than others, some messy or unorganized while others know exactly where they last left their glasses and car keys. Traits vary and do NOT define how spiritual, intuitive, or wise that person may be! Pursuing a state of peace or stillness doesn’t mean that we become voiceless, withdrawn, or quiet however sometimes that quiet time is needed and practiced. Being in a state of peace and stillness means that within the state of our core being- no matter what is going on around us we have a sense of deep peace within us- meaning that we are aligned with who we are and our path that we are currently on. That inner knowingness is a gift that we searched for and found. Personal expression comes in all forms- meaning some of us are soft spoken, some are loud, some are high energy and talk fast, others are slow and methodical... the list goes on and on! These separate traits vary and none of them make us any better or less than the other. What you need to look for in your coach is their message and their gifted ability to help you transform your life for the better using their words, heart, message, and actions. Being a spiritual worker you need to stay at least most of the time 100% authentic to your core self- that means if you are loud or a warrior woman who runs with the wolves than be that passionate person! If you are quiet and introverted- allow yourself to exist in that state. If you are combination of the two-predictable or not- then fluctuate as your heart, mind, body, and soul desires. You are you- a uniquely well and divinely made creature of God here with a purpose and a destination- therefore we will not have the same path- and we will touch many different lives as we go along in our weird and most wonderful ways! Don’t for one second forget that this life and time spent on earth is one that is a delicate balance- even our physical bodies need to stay within a specific homeostatic state- or balance- that when set off leaves us vulnerable to disease and bodily disruption. The same is true for our mental and spiritual selves. More often than not you will find me in state of high energy, smiling, warm and welcoming. I’ve been told I’m a light in a lot of people’s lives and a strong magnet for abundance and positivity and love- I believe this. I am usually relatively fast speaking (unless doing guided meditations) and passionate, singing, laughing, dancing, my usual. However, I still need balance- and I need recharging time (quiet time and reflection) to recharge my batteries before I go back into the world as my usual spark plug. This is who I AM. It is a gift that was given to me by the Creator and I use both my strengths and weakness to help all of you. My question to you: WHO ARE YOU? Are you a combination? Are you consistent or predictable? Or do you like to switch things up? Are you warrior? A healer? A lover? All of the above? Let's throw away these ideas of the quiet Spiritual Person/Worker Stereotype and replace them with the truth that we are all beautiful beings spending time here on earth to help lift and love each other and ourselves! It's better this way, don’t ya think?! What stereotypes are you coming across? Comment below!